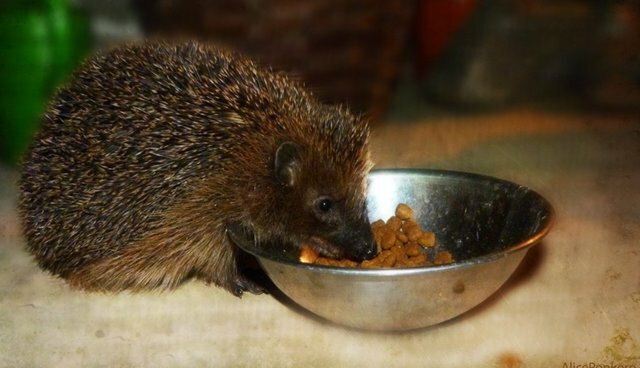 In Krakow, Smoky the hedgehog is battling to stay alive after ingesting poison meant to eradicate garden slugs. Luckily, he's receiving excellent care from Poland's first and only hedgehog shelter, the Igliwiak Hedgehog Rescue Center. Though you would be hard-pressed to find someone who wanted to inflict harm on one these prickly little mammals, hedgehogs found in the wild face many different dangers on a daily basis. Says Andrzej Kuziomski, the head of the center, "Lots of them are squashed by cars, caught up in lawnmowers, or mauled by dogs. They can suffer a slow and painful death from poisoning. Or, worst of all, are burnt alive by gardeners who set fire to piles of leaves that they like to sleep in." Kuziomski says that the center is already at capacity, housing over 50 hedgehogs. 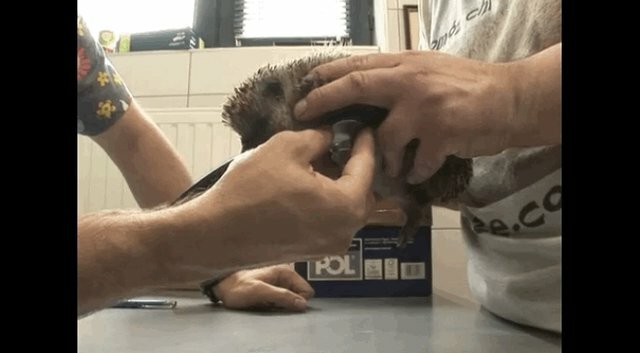 Many of the female hedgehogs require more specialized attention, as the females are the only ones to suffer from epilepsy and other gender-specific ailments. Though many of the hedgehogs, including Smoky, are in rough shape, the center is doing everything possible to safe them. Says one of the veterinarians, Przemyslaw Baran, "[Smoky] is very weak and dehydrated. (He) can't eat, and will have to stay a few days under observation. We will build him up, give him intravenous nutrient solutions, and we will do all the analysis needed to rule out kidney or liver problems." Here's hoping for a full recovery, Smoky!